Have a cat who claws up your crib? Really wish you could keep those claws of mass destruction off (at the very least) the couch? 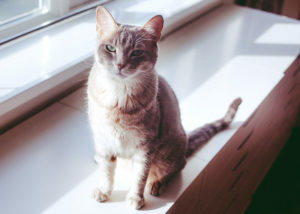 I’m going to start this article off with a wee bit of bad news: if you’re looking for a surefire bet – a 100% guaranteed way to train a cat not to scratch your furniture – you’re meowing up the wrong tree. There’s no such thing, though there do exist quite a large number of techniques you can try to reduce the chances your cat will claw up your crib, a combination of which may just do the trick purrfectly for your feline friend. 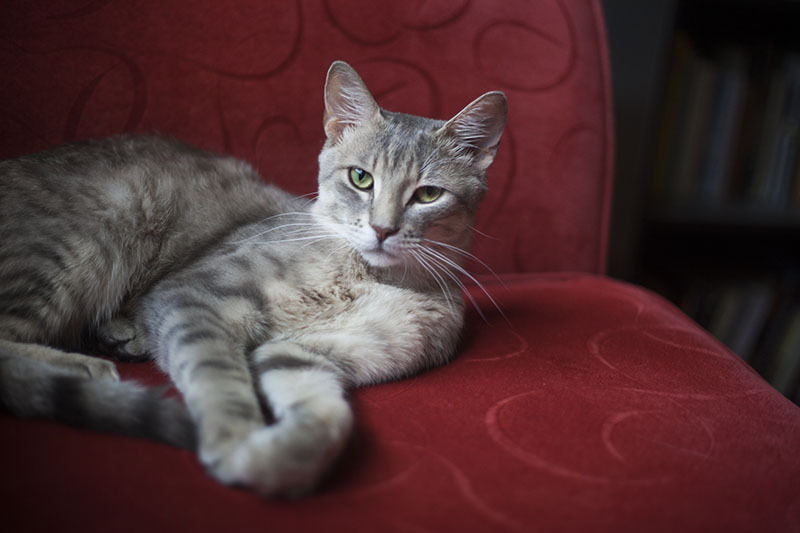 Since you’ve probably already got a sofa you’re trying to defend, I’m going to mention this tip here instead of the body of this training guide: while there isn’t a cat proof couch out there – there are sofa materials that are better than others for cat owners; they’re listed here. Will these couch materials prevent your cat from scratching? Maybe, maybe not. Some tricky little furballs go so far as to scratch wood and drywall, so you’re never really in the clear unless you buy a concrete slab or a bench made wholly out of metal to sit on. Comfy, I know. Still, there’s a lot you can do to encourage your cat to avoid your completely innocent furniture. These techniques I’ve split into two sections: 1. Training methods that discourage your kitty from scratching furniture, and 2. Training techniques that encourage your kitty to scratch elsewhere instead (i.e. someplace you’re happy to have your cat scratch up – like a cat tree or a scratch post!). For best results, and to train your cat to not scratch furniture in a way that sticks, I’d encourage you to use both methods. Otherwise you’re likely in for a round of the ol’ “I’m-gonna-scratch-where-I-want-when-you’re-not-home.” And no one wants that. Scratching is a biologically driven, incredibly beneficial behaviour for cats. Our feline friends reap quite a lot of amazing benefits from scratching (like stress reduction & muscle relaxation, to name a couple). As a result, a cat’s need to scratch shouldn’t be scolded or repressed. Instead, what needs to be scolded is kitty scratching up the wrong items, which is why it’s so important to encourage your cat to scratch elsewhere in order to guarantee success in training fluffy not to scratch your poor mattress. Kitty needs to work on his or her nails every once in a while, and if there’s no claw-approved place to scratch, or if you have a little minx on your hands and she just doesn’t want to scratch the post you got her, it’s high time you start testing to see if there’s a scratch-able place you can both live with. What’s this mean in practicality? You may have to sacrifice the carpets so the main chunk of your furniture can finally have some well-needed peace. But I’m getting ahead of myself here, because you may not need to sacrifice anything if some of the following tips work. Let’s get on to it, so you can start saving your sofa! 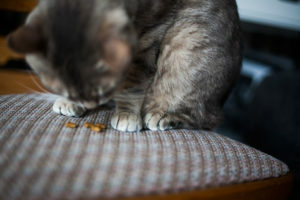 Again – this is only Part I. I don’t recommend doing any of these without also doing things in section II, but let’s get into the ways you can use to discourage your cat from scratching up the furniture you’ve got. 1. Shoo kitty off the furniture when the claws come out. Yeah, it may seem obvious, but if you catch kitty in the act and just let it happen – kitty’s going to think his or her behaviour is perfectly okay. So don’t let the bad behaviour train turn up just because you didn’t say no. Based on personal experience, I find cats do a lot better at understanding when we stick to a sharp, unambiguous, “No!” for absolutely any and all behaviours we want to discourage. It can be pretty difficult for a cat to understand a variety of commands, so sticking to the one short, sweet, easily identifiable, “No!” helps a lot in this regard. Once your cat hears the “No,” he or she will understand that something about his or her behaviour is displeasing to you. With a little repetition, especially if you manage to catch them with a “No!” in the middle of the act, they’ll understand exactly what the bad action is and thus know not to do it. But what’s important is to get your cat to understand something is displeasing you. Giving directions to your cat like, “Get down” is unnecessarily confusing to a feline who can’t understand language quite as well as we can! 2. Pick kitty up and place him/her elsewhere when the claws come out. Repeating these two steps over and over will really help your cat understand, the “No!” means displeasure, and the moving off the sofa is because he’s just not supposed to be up on there scratching. 3. Use furniture protectors, like couch covers, scratch shields, & sofa scratchers to save your couch. There are a slew of different cat scratch furniture protectors out there to help you save your sofa. 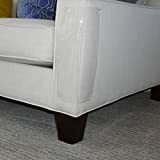 Couch protector covers can not only keep your sofa safe from scratches, but can guard against accidnetal spills as well. 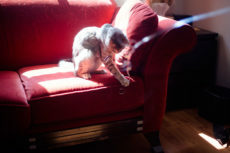 Some, like the MTR Pet Repeller Furniture Pad mat, work to deter cats from wanting to scratch up furniture, while scratch protector guards like Furniture Defender’s Cat Scratch Sofa Guard prevent cats from being able to get their claws into their favourite parts of the couch: that front portion that’s oh-so-irresistible. 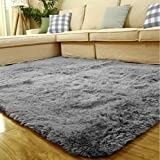 There are also sofa scratchers in the form of scratching posts and scratch pads that work to protect your sofa even if your cat scratches on them. 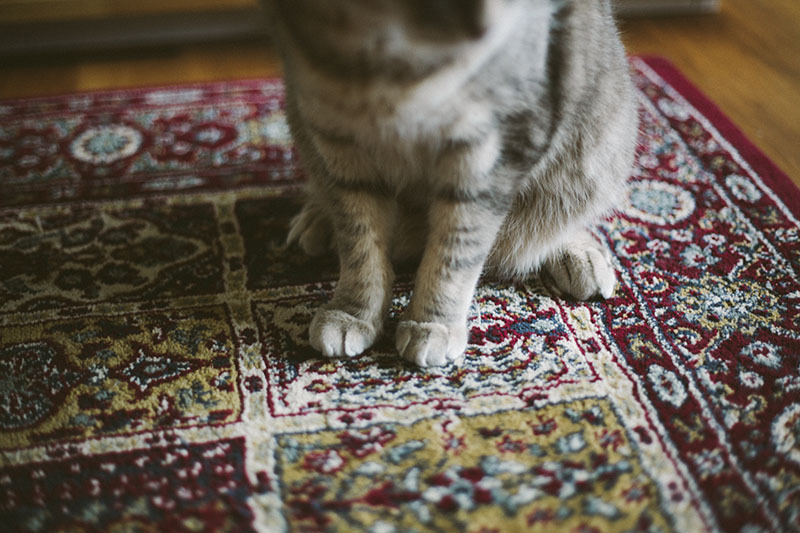 These may make it unnecessary to train your cat to stop scratching in specific places, as your furniture is protected. But even if you are going to try to continue on training your cat to stop scratching, they act as a physical guard to save your furniture from cat scratches in case kitty takes some time to understand that scratching up the couch is not a behaviour you approve of. Eventually, if you are planning on training your cat to stop scratching up furniture, you should be able to take these off your sofa without attracting cat claws back, but in the meantime, these are great, and no harm to your cat or your furniture. 4. Leave sticky tape on your sofas. 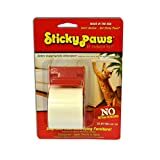 A commenter from Twitter recommended using Sticky Paws tape on furniture you want to keep safe from menacing claws, noting that Sticky Paws in particular leaves nothing on your couch once it’s finally removed. I’ve never tried using sticky substances like this before to keep cats away from counters or furniture, but I’ve heard many people swear by them. The idea behind using them is solid: cats won’t want their paws to stick to anything, so if you can put down some sticky tape where you don’t want your cat standing or scratching, your cat should stay well away. Of course, you won’t want really sticky tape to do this with, or your cat’s fluffy hair will get stuck onto the tape and it’ll be painful to get it off! But if you have somewhat sticky tape, like with Sticky Paws tape in particular, this trick should work painlessly for you and your feline friend. Like I said, I haven’t used this trick myself – have never needed to. But if you’ve already tried everything else and you’re desperate, or if you want to attack the problem on as many fronts as possible at once for the optimal success rate, tapes like these may be a good option to try. 4. Want your cat off the sofa completely? Try a pet training mat to train your cat to stay off. PetSafe makes a ScatMat Indoor Training Mat for both dogs and cats that delivers an annoying, yet completely safe little shock to any furries that happen to try climbing up onto the sofa when this is on. 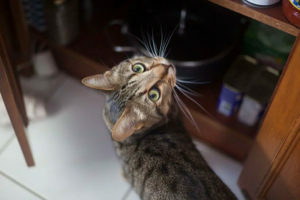 It’d also be a useful tool for training cats to keep off counters; something to keep in mind in case you’re hoping to teach your cat to do that as well. 5. Hesitantly Recommended: Using nail caps to prevent kitty from damaging furniture. Listen, I know many have bought nail caps, have found they work successfully, and are happy to use them as a replacement for declawing. I know some vets even go so far as to recommend them, but something about them still rubs me the wrong way. See, cats don’t scratch for fun. They don’t do it to screw with you and they definitely don’t do it for no reason at all. They do it because its biologically ingrained in them to do so. Why would something like scratching be biologically ingrained? Scratching helps cats keep their claws sharp – which is vital if they’re going to be able to climb and hunt with their nails, helps them remove the outer nail sheaths, the equivalent of humans cutting their nails back but cats can’t use scissors so that’s not an option, and the physical act of scratching is physically beneficial, as it helps a cat stretch, get a bit of exercise, and also get a little stress relief. If your cat doesn’t need his or her nails to hunt or climb, technically this aspect to scratching is not necessary. And certainly if you cut your cat’s nails for him or her, the second aspect isn’t needed either. With nail caps, supposedly your cat also continues to “faux scratch” and knead into things, acting as though the caps are not there at all, which makes sense since scratching is a biologically ingrained behaviour. But what happens if an indoor cat has nail caps on and then accidentally escapes and gets lost outside? He or she’s not going to be able to hunt or climb. Chances of him or her surviving if not found or helped by humans in the first few days is probably abysmal.. especially since it takes around 1-3 weeks for nail caps to fall off and cats can’t pull them off (which is the point – they’re glued) on their own. I don’t like the sound of this. But if you’re willing to take the risk because your house is a fortress, I mean I’m definitely not going to convince you out of trying it. It’s definitely better than declawing if that was at all on the table for you. Still I feel it’s better to take the time to train your cat to stay away from furniture you care about, and only scratch up things that are kitty-scratch approved. Let me know your thoughts on nail caps in the comments, especially if you have firsthand experience with using them on your cat and what his or her behaviour is like with them on. 6. Not Recommended: Using keep off sprays to discourage cats from getting on specific furniture. Really, I don’t even know if scratch deterrent sprays like these work, but even if they did, there’s plenty of other (better) tricks to try. Again, just check out the second section of this article. 7. Not Recommended: Use a spray bottle to squirt water at kitty whenever he/she goes on the furniture. It’s not that I’m against spraying a cat with water to discourage specific behaviours in theory – I mean it doesn’t hurt a kitty, so if it worked, I’d likely be fine with it; it’s just that in my opinion, spraying with water is almost completely ineffective. Why? Well either it outright doesn’t work because your cat doesn’t care about water sprayed at him/her (mine became like this after the first spray or two), or it works while you’re present/in the room, but really doesn’t get rid of the scratching on furniture problem when you leave the room or are away from the house. Kitty knows you’re the one doing the spraying, and if you’re not on the premises, there’s no reason not to do the unapproved action anymore. Unless you get your hands on a motion-detector pet sprayer, which possibly could work, but you’d have to angle it in the perfect way, or else your clever cat will no doubt learn to avoid it. 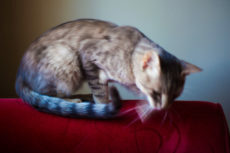 Last plug – look at the second section to get kitty’s good behaviour (avoiding scratching up the furniture!) to stick a lot better. Yes, it’s important to do at least a few of these in combination with the tips you’re trying from Part I. I promise, it’ll be worth the energy and effort, and your couch will thank me personally later. 1. Make sure you have a scratching post kitty’s actually happy to use in your house. Have a scratching post already? Great! Have you seen your cat use it before? If the answer is no, you do not have a scratching post kitty likes – or kitty needs to be trained to like it. But if it’s a no go and kitty just won’t do it about a month in – it’s time for a better post; one that kitty will actually take to. I’d advise getting an angled scratching post if you have one of those regular upright cylinder ones. I’ve found cats really prefer the angled ones because they can stretch out easily while doing it. I have a tall cat and so he particularly hates those cylindrical ones. If you’ve got a lightweight scratching post made of cardboard, you’re likely going to have to weigh that thing down, otherwise chances are your cat is never going to use it. Cats want to be able to scratch without the object they’re scratching moving – so therein lies your issue. Either throw some heavy exercise weights onto the sucker to keep it firmly in place, or get a new, heavy scratching post like one of the many made out of real wood. 2. When your cat starts scratching something you don’t want scratched, say “No!” loudly. Then, pick kitty up and place him/her to a scratch approved object. This is an important one. Kitty needs to know you’re not disapproving of the scratching, you just want the scratching to take place elsewhere. So every time scratching occurs where it’s not supposed to, pick that feline up and move him/her to a scratch approved location. 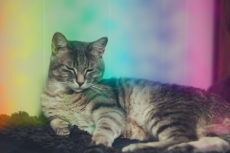 Cats don’t just have it in for you and want to make your life miserable (contrary to what a “dog person” may tell you). If your cat knows you want him/her to do something and they’re cool with that behaviour themselves, chances are, they’re going to do it just the way you want them to. Let your cat know you’re happy with him or her scratching on the scratching post by encouraging kitty with positive words when he/she is using the post. 4. Did kitty scratch on the approved object after being moved? Give him/her a treat. Your cat’s favourite form of positive reinforcement: treats, snacks, yummy food, & catnip!! If you’re in the giving mood, do yourself and your cat a favour for being good, and dole out a treat or two. Kitty will be ever so thankful and may end up scratching on the post instead of the couch the next time around, especially if he/she’s come to associate the post with yummy treats. 5. Move scratch approved objects near where kitty seems to like to scratch. Cats really seem to like scratching in and around spaces they spend a lot of time snoozing and lounging around in. So make their lives a little easier by having scratch-approved objects right nearby these places. Stick that scratch post right next to the couch, or the scratch board right next to the carpet or bed kitty can’t resist. Location really can go a long way. 6. Make sure you have at least one scratch approved object in every room. Okay yes, if your house is a studio like ours, or a one bedroom, chances are you’ll only need one or two scratch approved objects in total – but if you have multiple rooms that kitty freely goes in, you can’t very well expect kitty to go back to the other room to get his/her scratching needs out of the way every time. Have a scratch approved object in every single room you’re in. Love the idea of doing this, but would prefer to keep the cost low? 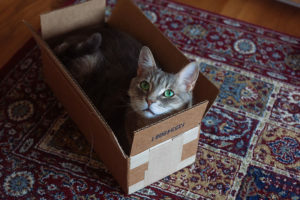 You can easily do that by grabbing a number of cardboard cat scratchers, or if you’re looking for something more permanent, an inexpensive cat tree or a small cat tree that packs a lot of punch for its size. Small cat trees are typically substantially more affordable than larger ones. 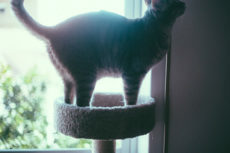 If you’re not fond of having a scratch pad or scratching post or cat tree in every single room of the house, check out this article on scratching post alternatives. 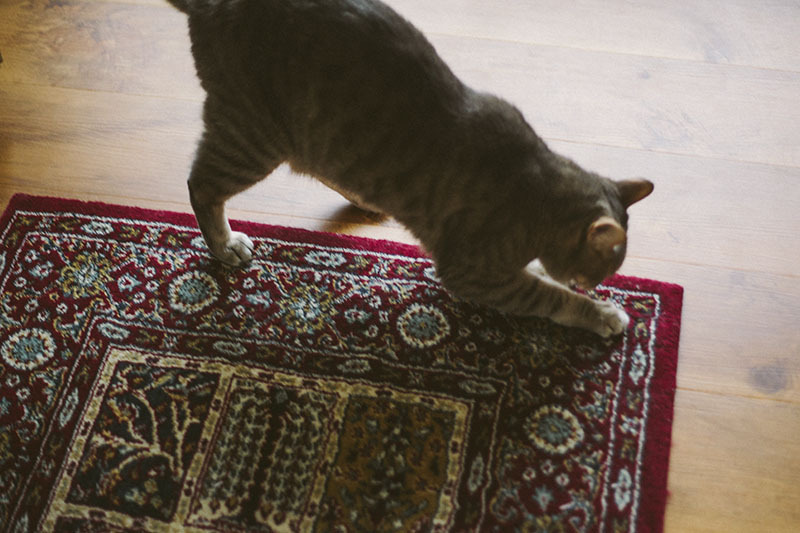 Essentially, use things like a scratch approved rug in every room in order to keep kitty scratching where it’s okay, and not scratching where it’s not okay. Obviously, you need to also make sure kitty knows that these objects are scratch approved – but that’s where #2 from this section comes in. 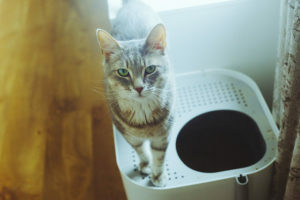 If your cat starts scratching something you don’t want him or her scratching on in the room, simply move him/her to the scratch approved object in the room. Either your cat will then immediately start scratching the scratch approved object, or he/she won’t and you’ll need to get a different approved object for scratching in – one that kitty likes better. Over time, after being moved enough, kitty will get that this is the approved scratching area, and by him/herself, start to go there instead of the furniture. If you’re interested in training your cat to do (or if we’re honest, not do!) 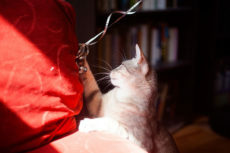 more than just keep off human furniture, you can take a quick browse through all my articles on training cats here in one place to see if there are a few more things you’d like to try your hand at. Or to be more snuggly. And/or waking you up early in the morning. 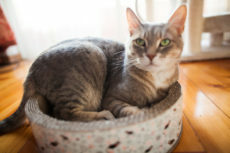 Whilst most pet owners probably don’t think it’s important to train a cat, I think it makes for a happier, less anxious life for both pets and their pet parents; so in my opinion, there’s no two ways about it – training our feline friends to do some very basic things is pivotal for enhancing quality of life of cat-human cohabitation. Any Tips for Pet Owners Whose Cats Scratch Up Furniture? Please let us all know about your experiences with cats scratching up furniture. Have you had this problem yourself before? Was it ever solved or does your cat still freely roam the house taking claws to whatever he or she pleases? If you managed to get your cat to not scratch up anything you don’t want scratched up, how did you manage to do it? If you still have this problem, do you think you’ll try any of the methods mentioned above? Is there a good method I’ve forgotten to mention?